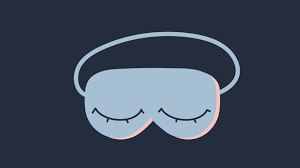 Sleep makes us feel better, however, its importance goes past simply having to rest our bodies from a tiresome day. Having enough sleep is a part of a wholesome lifestyle that might benefit us in aspects like having a healthy heart, body, and mind. Here are five things you should know to remember the importance of sleep. Surprisingly, one of the strongest risk factors for obesity is not having enough sleep. The link between sleep and weight gain is thought to have something to do with many different factors like genetics or motivation to go exercise. One explanation could be that sleep duration influences hormones regulating hunger. Another could be that loss of sleep results in fatigue and leads to less physical activity. If you are going on a diet, going to sleep earlier or getting more sleep is crucial. As sleep is important for the body, it is also as important for aspects of brain function, like performance, productivity, and concentration. Being well-rested boosts our mood, acts against stress, and enhances of feeling good throughout the day. Sleep plays a significant role in learning and memory which is also important in developing productivity. With regards to concentration, an example of a sleep-deprived driver could be used. If a person suddenly crosses the road, the driver’s brain cannot process the information in time and it might lead to an accident. 3. Sleep enhances athlete’s performance. What athletes do while practicing, working out, or competing shows how much they improve physically. But what they do after determines how quickly their bodies recover to restore nutrients and build muscle. Having enough sleep gives the body time to rest resulting to faster rebuilding of the muscles and lowering physical stress. This is also why gym trainers advise to get at least eight hours of sleep to go with proper food intake. 4. Lack of sleep affects the heart. Sleeping too little causes disruptions in natural processes in the body like glucose metabolism, blood pressure, and etc. This is why an increased risk of heart disease and stroke can be attributed to having unhealthy amounts of sleep. Those who do not have enough sleep put themselves at risk no matter what age, weight, or habits. Getting sufficient true quality sleep is vital if you need to lower you risk of cardiovascular diseases. 5. Having enough sleep helps against depression. The connection between sleep and depression is a bit complicated. Depression may cause sleep problems and having sleep problems might also contribute to depression. Sleep problems and depression might also share risk factors and biological capabilities and the 2 conditions might also respond to a number of the same remedy techniques. Sleep problems also are related to greater extreme depressive illness.